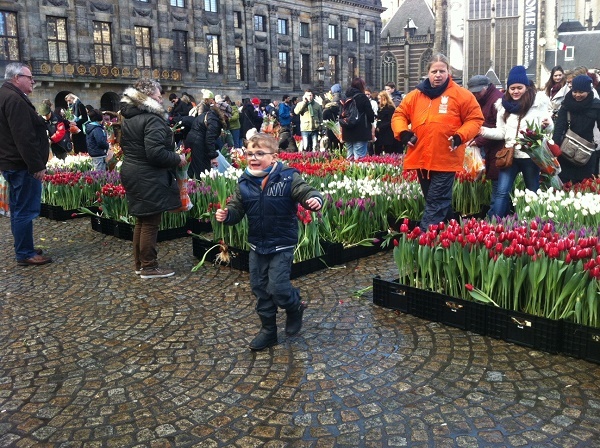 Every year the tulip season in Holland officially starts with the National Tulip Day in Amsterdam. 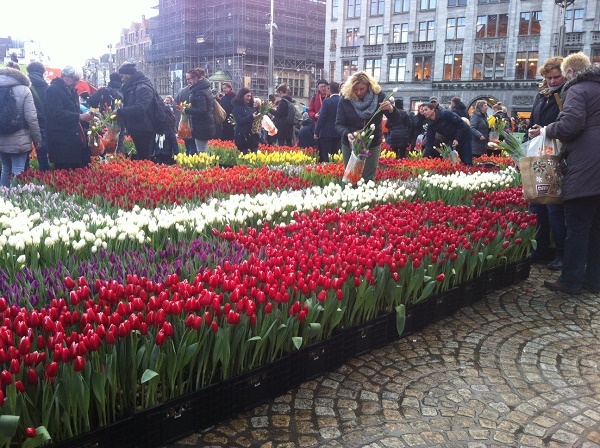 It is celebrated on Dam Square in Amsterdam, where Dutch tulip growers build a very special tulip garden. Everyone is invited to come and pick some flowers! 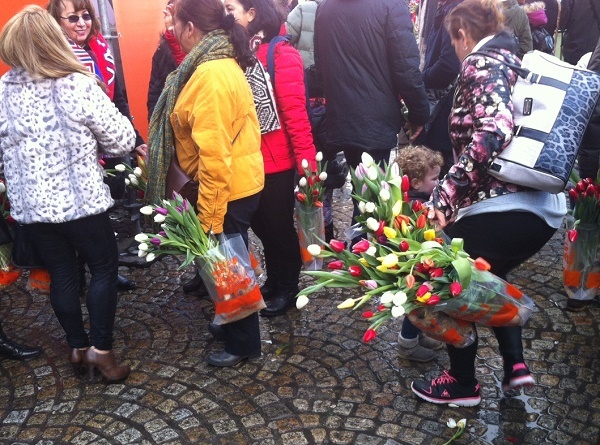 In 2019 the National Tulip Day (Nationale Tulpendag) will be celebrated on 19 January. 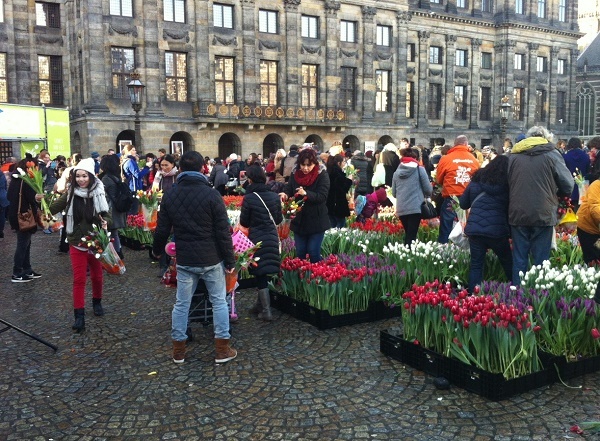 Amsterdam’s Dam Square will be filled with approximately 200.000 tulips. 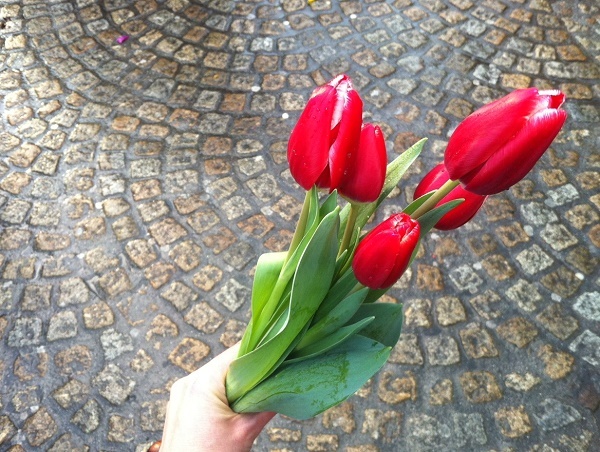 Every visitor can pick up to 15 flowers and it’s totally free. 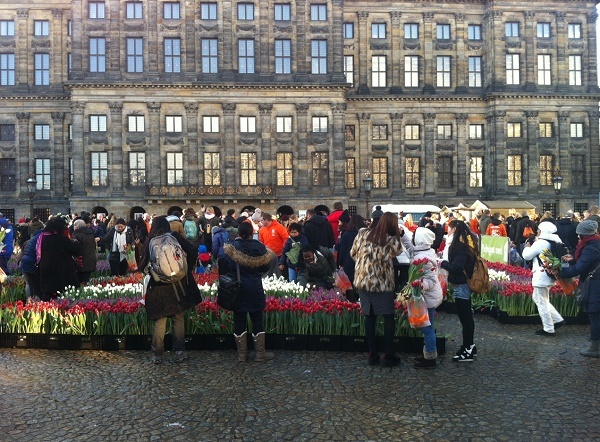 Admission to the tulip picking garden starts at 13:00. The garden closes when the flowers are all picked. Don’t wait too long to join! Want to see the beauty of Dutch tulips and take stunning photos in endless flower fields? Plan you visit to Keukenhof gardens, the world’s most beautiful spring flower park. In 2019 the park is open from 21 March to 19 May. Make sure you book a hotel well in advance as in April – mid-May Holland is extremely popular among tourists. We advice you to buy tickets online to avoid long waiting lines at the entrance. 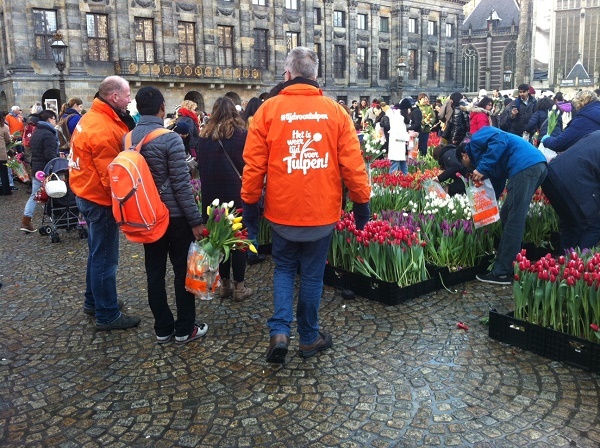 You can also order Keukenhof + Flower fields tours from Amsterdam, ranging from half-day tours to full-day and private tours.